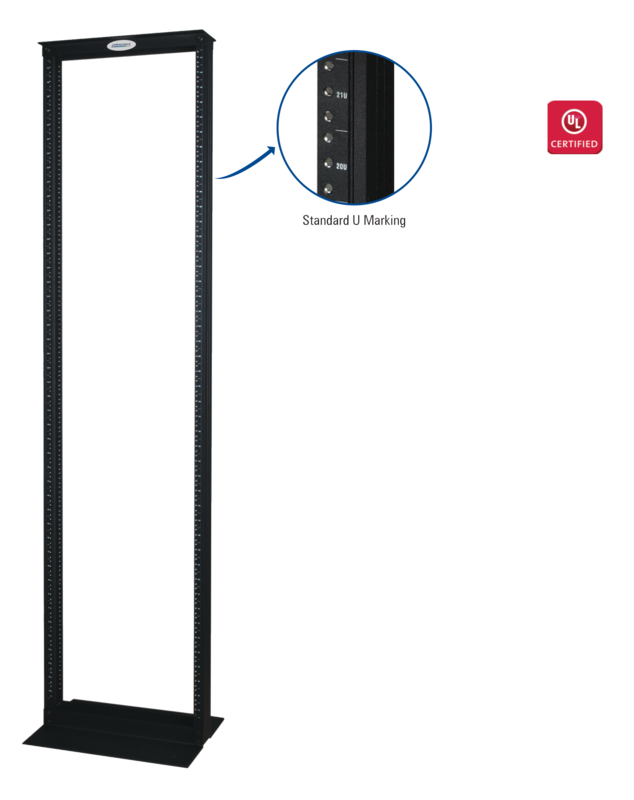 NAOR - 2 Post Series are Ultra rigid Racks for high density application for networking / labs / data Centres. These Racks are made of rugged aluminum profiles, individually powder coated and bolted with highest quality standards under stringent ISO 9001-2008 Manufacturing & Quality management system. Standard for Racks configuration will be bolted frame with 2 Post. 4 Post will have adjustable Steel folded depth members to adjust the depth to meet site requirements. Available in 22RU ~ 52U variants. Unique packaging inserts eliminate damage from components hitting together in the carton during shipping and handling. Easy of assembling by high quality fasteners. Conductive M6 tapped DIN standard holes -100% assured conductivity within the rack. Eliminate separate grounding strip.